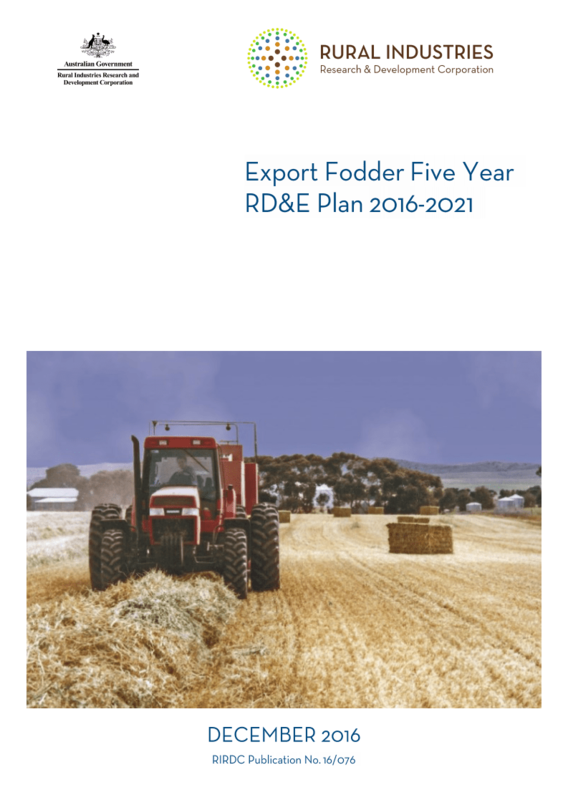 The AgriFutures™ Export Fodder Program aims to invest in RD&E that harnesses leading edge technologies to develop competitive advantage in export fodder markets. 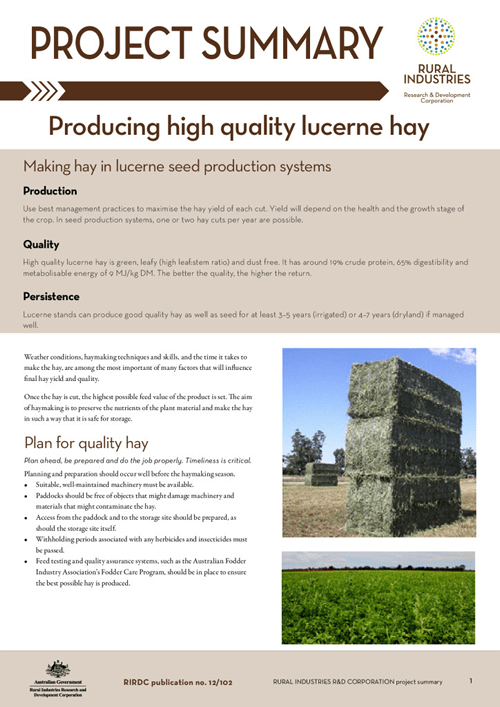 Key components of this program include further developing the Oaten Hay Breeding program, continuing to grow hay production, and ensuring that export fodder meets importing country requirements with regards to chemical residue. Export fodder includes a wide range of crop and pasture species that are grown, harvested and lightly processed for both on-farm use and export. Export fodder production includes hay and silage of all types (pasture, cereal, lucerne, clover and others), chaff (coarsely chopped dried whole plants), vetch and pelletised feed. 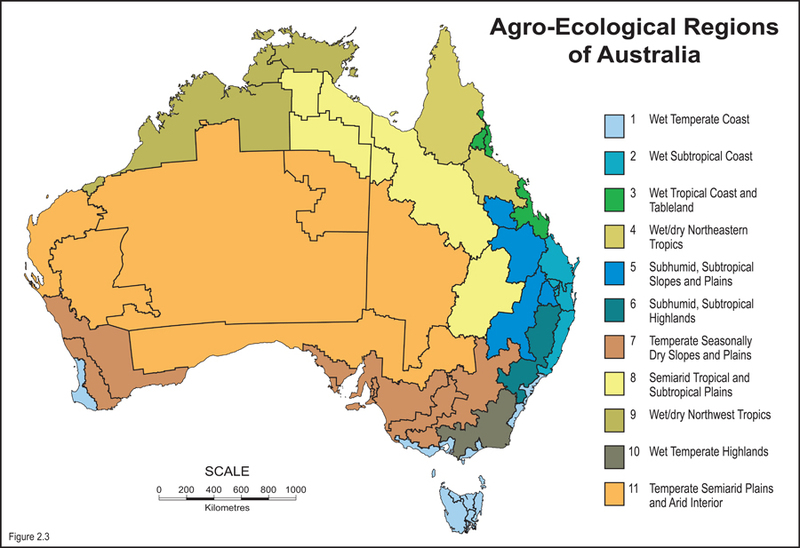 Around one third of all Australian commercial scale farms (38,000 properties) make hay each year. 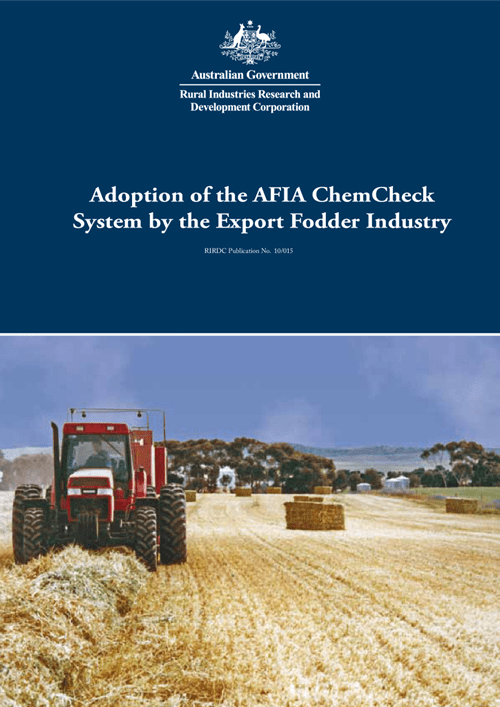 For more than 25 years, the Australian export fodder industry has supplied forage to countries around the world. Key export markets include Japan, Korea, China and Taiwan. 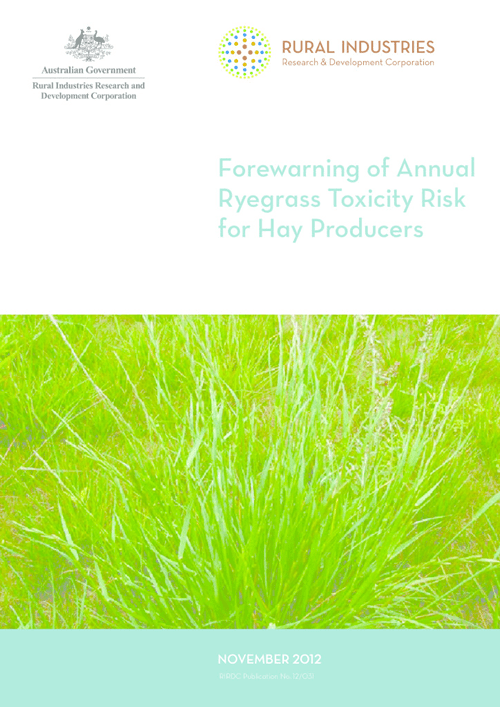 Swinging production volume trends and volatility in weather during curing and storage from season to season places an emphasis on research and development to address the risks and provide mitigation measures for farmers. The industry has focused strongly on addressing market requirements, establishing new markets and developing a high quality product. 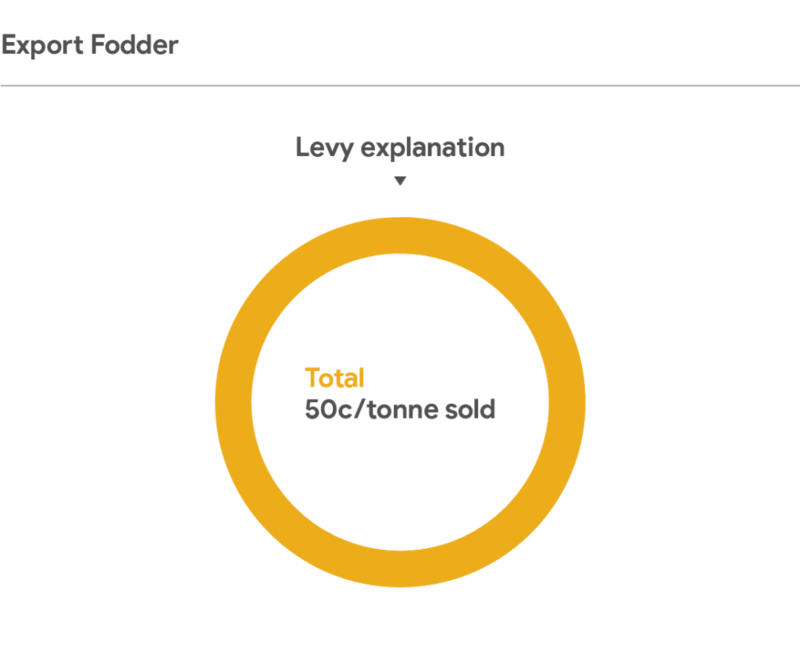 In 2016, the Australian government approved an Export Fodder R&D Levy of $0.50/tonne on all exported fodder to support ongoing research and development. The program is funded by statutory levies paid by industry participants. 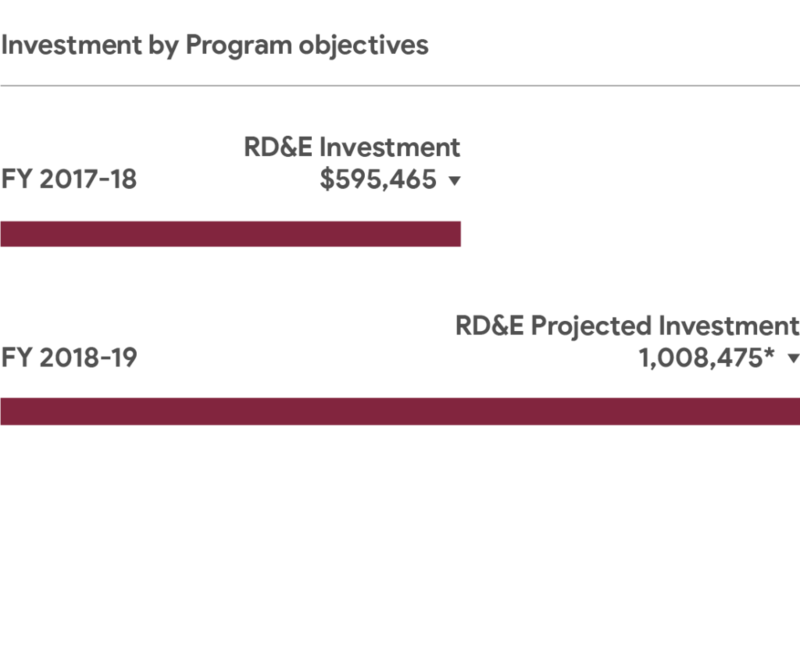 Up to half of program expenditure, including R&D expenditure, is matched by the Australian Government at up to 0.5% of industry GVP. 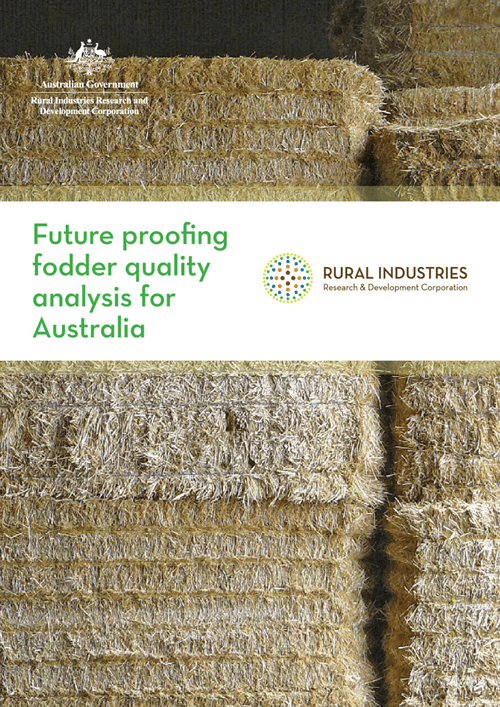 The RD&E objectives were developed by the Australian Fodder Industry Association (AFIA) in consultation with fodder exporters. 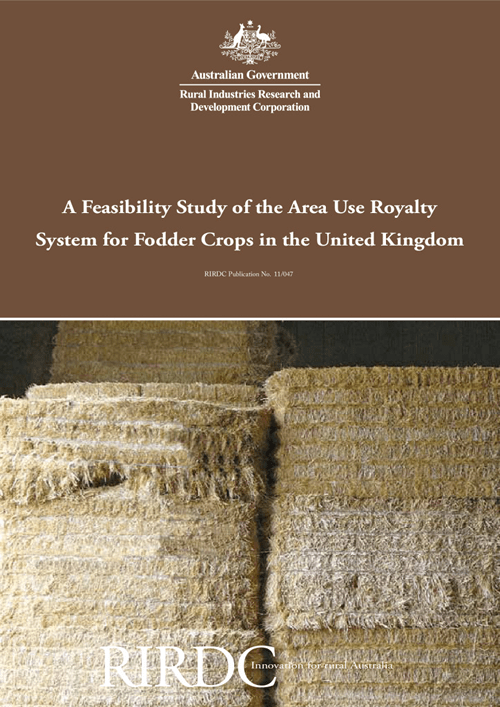 As the entire fodder industry derives a benefit from industry research and development, the domestic industry is a valuable end-user of the program. The consultation process to establish the Export Fodder R&D Levy took place during 2014 and 2015 and included industry meetings and workshops, a communications and awareness campaign, online information and the dissemination of discussion papers outlining the levy process. 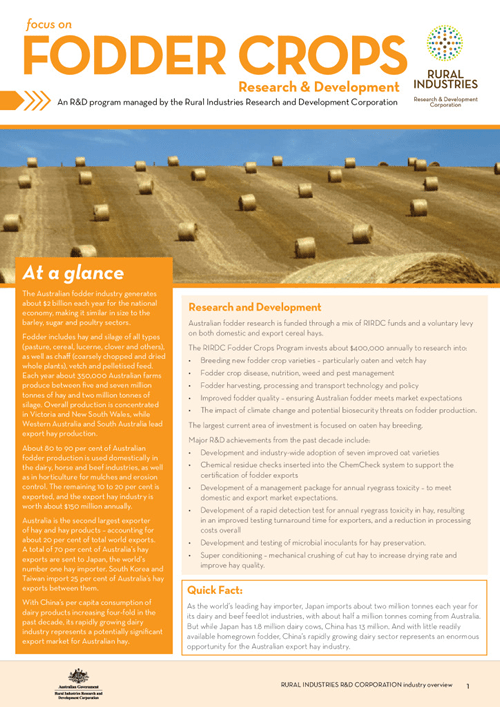 Project updates from our AgriFutures™ Export Fodder Program. 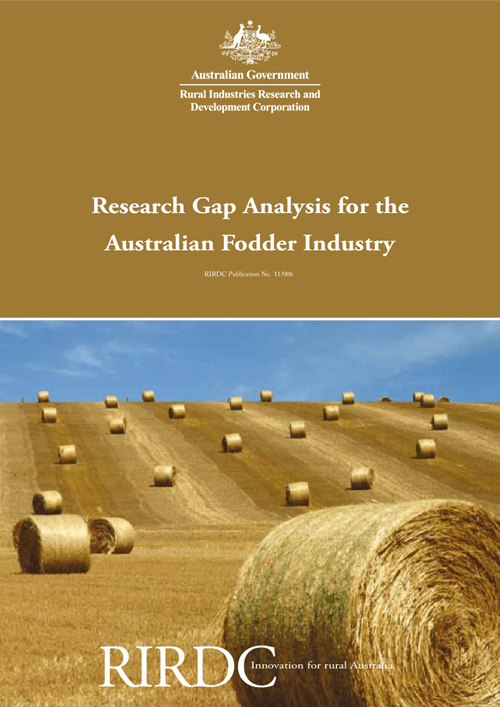 In 2016, the Australian government approved an Export Fodder R&D Levy of $0.50 per tonne on all exported fodder to support ongoing research and development. 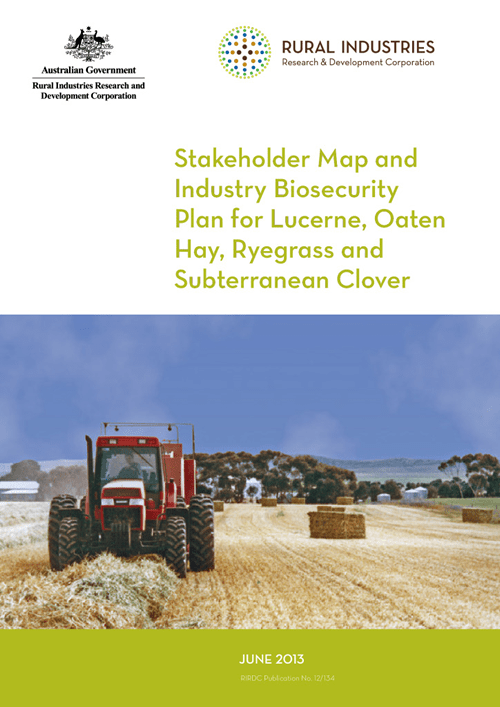 A new oaten hay agronomy project is the largest investment to date in the AgriFutures™ Export Fodder Program and will support growers to increase productivity, improve fodder quality and reduce production risk. Sign up to receive AgriFutures™ Export Fodder Program news, and keep up to date with the latest research, events and program activities.